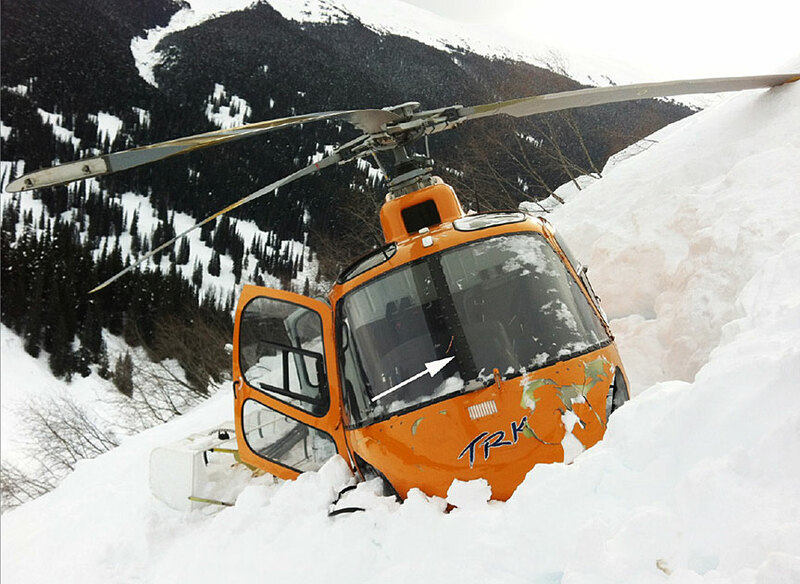 The Transportation Safety Board says the pilot of a heliskiing helicopter fell victim to a well-known quirk of the Airbus AS 350. All seven occupants walked away from the crash near the base of a ski run near Smithers, B.C. in March of 2016 when the aircraft pitched up and rolled to the right after the pilot descended briskly into a ravine. That triggered something called servo transparency when the hydraulic system is overwhelmed by aerodynamic forces. The situation is often salvageable because the aircraft self corrects but in this case it was too low. “Following the occurrence, TRK Helicopters Ltd. amended its training curriculum to emphasize emergency procedures related to hydraulic system failures and the conditions that increase the risk of servo transparency,” the TSB said in a news release. “Airbus Helicopters has begun developing flight data monitoring systems and has undertaken to revise its training syllabus, with the possible inclusion of a video on servo transparency.” The TSB also used the mishap to reiterate its oft-repeated call for the mandatory use of simplified flight recorders in smaller commercial aircraft. Although there was no such system in the helicopter, the TSB was able to extract position and attitude data from a GPS and a couple of video recorders aboard the aircraft.